Would You Like to Import Rental M4V Movie to Your iPad3/New iPad? Apple has announced that it has sold three million units of the iPad3 since the launch on Mar, 16th. That is amazing that the sales quantity of new tablet have 3 times more than last year within one week! It said that iPad3 should have much thinner, but it just because the screen technology is not very immature so that this new iPad with Retina screen is power-hungry. Actually, Apple planned to use Sharp indium gallium zinc oxide technology to make iPad thinner, but this technology is not very immature so that Apple have to adopt the traditional amorphous silicon α-Si technology instead of it. If this Sharp indium gallium zinc oxide technology can be used in the new iPad, then it must grab a much bigger share of the market. Now, what will you use for your new ipad? Some friends said to me, purchasing a costly product sometimes is not because of itself, but a process of enjoying service. But I am apt to the concept of value for money. 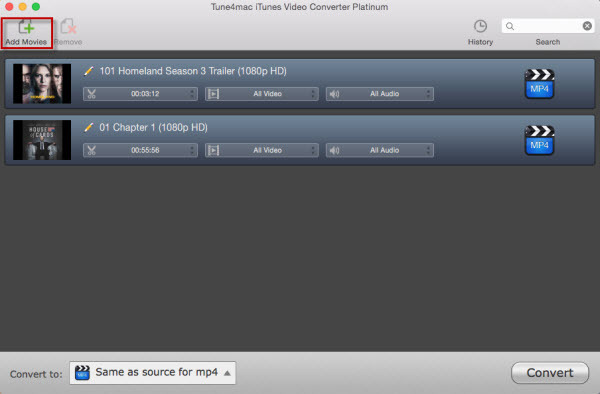 I wonder to know whether you prefer to purchase movies or rent movies from iTunes? No matter which one you like, I could provide some interesting information for you. 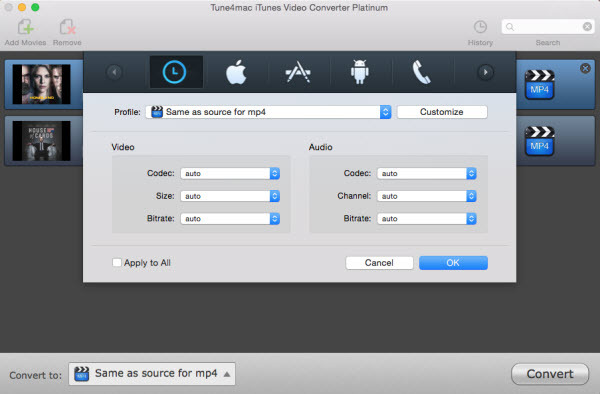 Tune4mac have many products, but the best M4V video converter is Tune4Mac iTunes to iPad 3 Converter. I say that because it could convert rental M4V Movies to various kind of formats such as MOV, MP4, FLV, AVI, MEPG1/2, 3GP. iTunes user must know you only have 30 days for it in your computer. But after you start watching it, you have 24 hours to finish the movie once you rent it from iTunes. If you are aware of the program that I am referring to, then it means you could play rental movies on your own iPad3 or other devices forever. Would You Like to Import Rental M4V Movie to Your iPad3? 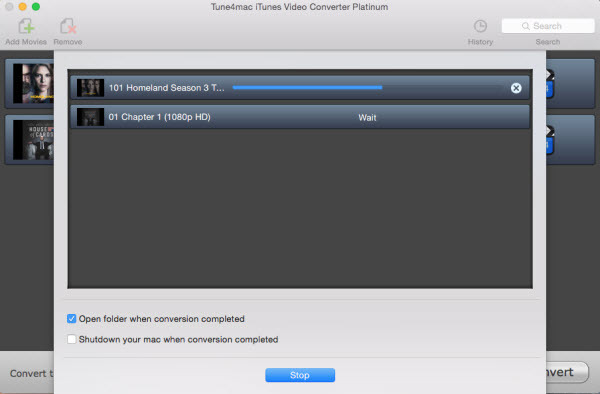 Input your rental iTunes movies---> set up output format--->press convert. After these three steps, you could store rental movies to you iPad3 all the time. You don't need to worry about the coming deadline any more. Taking your iPad3 to enjoy your wonderful M4V movie anywhere anytime without any limitation.